Whether you take your dog on an outdoor hike or let him run around in your enclosed yard, he could come back inside with unwelcome hitchhikers: fleas and ticks. 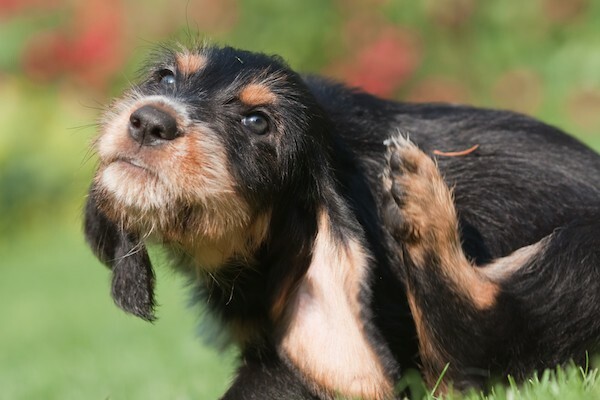 Fleas come in more than 1,000 species, but the types of fleas that bite cats and dogs are fairly uniform. Ticks come in several distinctive varieties, and the season for both fleas and ticks can vary according to climate. We surveyed experts around the United States to learn about the specific issues with fleas and ticks on dogs. The easiest way to deal with fleas and ticks on dogs? Prevent the problem in the first place. A Golden Retriever dog itching outside on the grass. Photography by cmannphoto/istock. The source: Dr. Brian Serbin, D.V.M., a Phoenix veterinarian. The season: The Southwest’s arid desert climate doesn’t foster fleas and ticks the way grassier, humid regions might, but pets in Arizona and other surrounding states aren’t immune from the pests, Dr. Serbin says. Since the climate is temperate, fleas and ticks appear year-round and don’t really have a season. However, some mild cold spells in the winter mean that pests are more likely to bite your dogs in the spring, summer and fall. Dogs in the desert get ticks more often than fleas. “There is an occasional dog who comes into my practice that has a flea issue, but it’s just not as prevalent,” Dr. Serbin says. The ticks: Brown Dog Ticks live in the desert, and they can give dogs Rocky Mountain Spotted Fever or Ehrlichiosis. Beware of contact between your dogs and wildlife, as ticks can live on animals like coyotes. The good news is, there’s little to no Lyme Disease west of the Mississippi River. The prevention and treatment: Dr. Serbin recommends year-round measures, based on your veterinarian’s advice and tailored to your dog. The source: Matthew Frye, entomologist with New York State Integrated Pest Management Program, Cornell University. The season: Fleas can live year-round, even in the icy wintertime, when a host like a raccoon could carry the bugs. “But certainly, during the warmer parts of the year, there’s a greater chance of their populations being higher and the chance of transmission between a wild animal and a companion,” Frye says. Fleas breed in shady, moist outdoor places with exposed soil. Key spots might be under porches and decks. The peak activity for ticks — who like to congregate in leaf litter — is in the spring for baby ticks and the fall for adult ticks. Summertime ticks are less active because of the heat. The ticks: The most common tick in the Northeast is the Black-Legged Tick, also known as the Deer Tick. There is also the Lone Star Tick, a southern species that has been making its way north, and the American Dog Tick, also known as a Wood Tick. Black-Legged Ticks prefer moist, dark habitats like forested areas. American Dog Ticks like sunny fields with tall grass. Lone Star Ticks can be anywhere. If you keep your grass trimmed, which keeps the moisture level down, you’re not likely to have ticks in your lawn. A brown dog itching. Photography by adogslifephoto/Thinkstock. The source: Dr. Richard Gerhold, assistant professor at the University of Tennessee College of Veterinary Medicine, Knoxville. The season: Fleas and ticks appear year-round, so year-round prevention is needed. The ticks: This region mostly has the Lone Star Tick, the American Dog Tick and lower numbers of the Black-Legged Tick. There’s also the Brown Dog Tick, which is tropical in nature and can’t survive outside in Tennessee and surrounding states. If your dog gets this tick, she probably got it from inside a building where ticks had been previously — for instance, if you move to a new house that’s been infested. The advice: Keep your grass cut really short to keep humidity low, remove leaf litter, and try to discourage a high number of potential wildlife being in close proximity to the house. Keep the compost pile covered. Except for birdseed, don’t feed wildlife, and keep the bird feeder clean. “For all diseases that exist, there’s no substitute for prevention,” Dr. Gerhold says. An itchy dog. Photography by Shutterstock. The source: Dr. Michelle Matusicky, D.V.M., assistant professor — practice at The Ohio State University’s College of Veterinary Medicine. The season: Really, fleas and ticks can cause problems any time of year, and dog parents shouldn’t focus too much on a particular season. “It is a common misconception that fleas and ticks have a season,” Dr. Matusicky says. “They have a life cycle that is constantly replicating. Flea infestations are much more common in the home than tick infestations, but the Brown Dog Tick can actually complete its entire life cycle indoors. The ticks: Here, you’ll mostly find the American Dog Tick, Black-Legged Tick and Brown Dog Tick. “From a financial standpoint, the cost of prevention alone is going to be cheaper than multiple trips to the vet for skin infections or other ailments that these ectoparasites have caused,” she says. The source: Washington State Department of Health. The season: With the mild weather in the Seattle region, fleas can be a year-round problem — but especially in the spring, summer and fall seasons. Ticks start coming out in the spring, when people and dogs get outside more. The ticks: The Western Black-Legged Tick, American Dog Tick and Rocky Mountain Wood Tick are the most common in this region. Washington State dogs get relatively few tick-borne diseases compared to other areas of the country. But tick bites can give dogs diseases including Rocky Mountain Spotted Fever and Anaplasmosis. If you spot a tick on your dog, manually remove it with tweezers, but don’t squeeze the tick’s body, or you could inject blood back into your pup. Then, talk to your vet about either topical or oral treatments. As for fleas, for every adult flea, there are probably 99 other developing fleas in different life stages within the environment. You will need to treat both your dog — talk to your vet about options — and your living space. Have These Natural Flea and Tick Preventatives Worked for Your Dog? 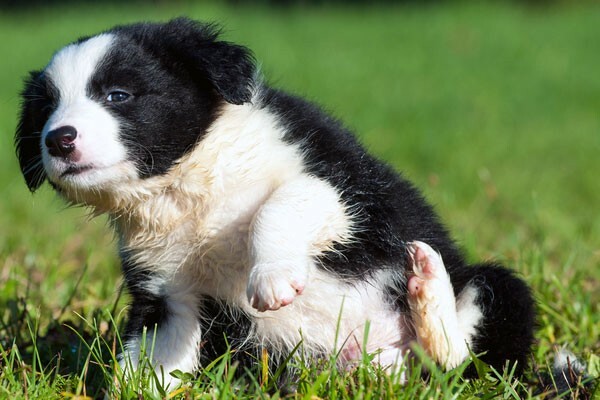 The post The Regional Guide to Fleas and Ticks on Dogs appeared first on Dogster.